A Nongovernmental Organization called Vicfoldrecyclers has removed over 70,000 plastic bottles from Asa river in Ilorin Kwara State. 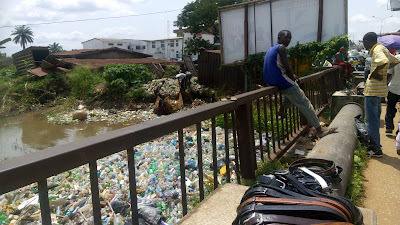 River Asa which is known to be one of the major source of water to the people of Kwara state has been blocked by plastic debris. 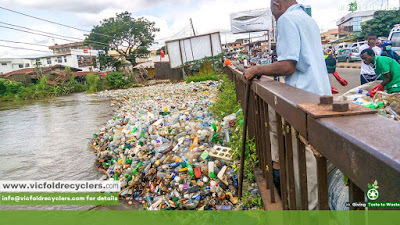 According to the chairman of the NGO Mr Amusa Victor who was interviewed by our correspondent explained the difficulties he and his team members faced while trying to clear the plastic debris from the river. "The Asa River transverse Ilorin metropolis and serves as a reliable source of water to @kwaragovt. Perennially there are reported cases of flooding & disease outbreak. I choose to #domybit by mobilizing my team to clear the debris. 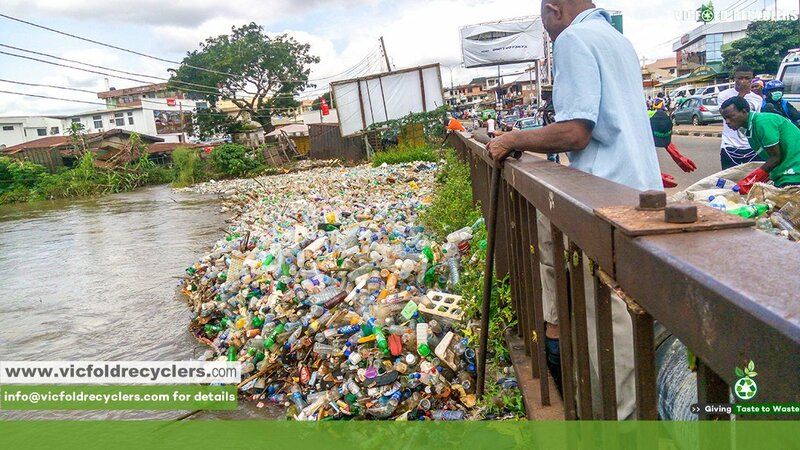 So far over 70,000 plastic bottles removed." "Our country & its people need to have a serious rethink. 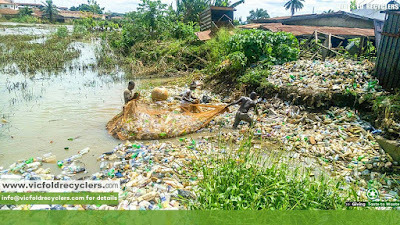 While clearing plastic debris from Asa River in Ilorin today there were serious threats to the life of my team & I, from the same people whose shops were flooded as a result of blockage of the waterway." 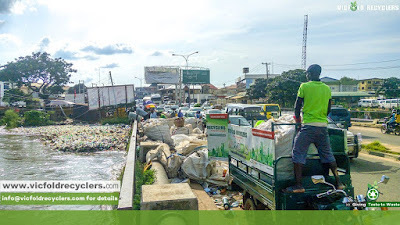 "I was shocked and moved to tears when the same people whose shops has been sacked by flood due to plastic debris started threatening to assault and throw my team into the river because we choose to take a step and not overburden @kwaragovt. "Whats your concern they say." "This responsibility is directly under the @kwaragovt ministry of environment. But as a social impact driven entrepreneur i have chosen to #domybit. We have created handsome jobs for local fishermen through this effort. The lives of my team is on the line for our goodwill." "I have committed funds to clearing this river & the local fishermen engaged are thankful for the financial gains it brings to them. Now the people by the river bank are calling for my life and the lives of my team. Our cleanup continue tomorrow." "For the sake of forestalling the breakdown of law & order we hope the Security framework of @kwaragovt rises to action. 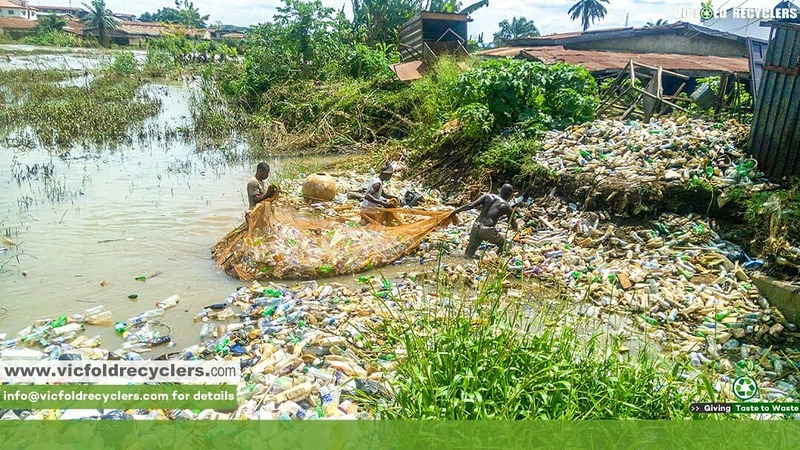 Because the fishermen who got handsome reward for clearing the Plastic debris won't take it likely. My team wont also watch the people destroy our equipment." "I am a social impact driven entrepreneur seeking to reach millions with Impact. I hope the selfishness of a few won't rob the community of the benefits of #doingmybit. Asking my team how is plastic debris their concern is crude & unimaginable. We all have roles to play."